Hi everyone!! Hope you guys had a great weekend and hope you had an amazing start to your week. So this past weekend, I was invited as one of the VIP Fashion Blogger to Boulevard of Chic's Fall into Holiday Shopping event. This was my first BOC event so I wasn't 100% sure what to expect. But I was excited and ready to network and do some shopping. Boulevard of Chic (BOC) is Baltimore’s first and only fashion truck rally and shopping event. BOC is about more than shopping; it’s a celebration of the entrepreneurial spirit that has created a national trend in mobile retail. Their mission is to bring savvy entrepreneurs and artists together with fashion-forward consumers to promote the “Shop Local” trend. Experience a variety of mobile boutiques, fashion retailers, food, beauty products and services. Thank you to Alyssa for the invite.. She was super nice and sweet. So glad to have met her. The event was very welcoming and all the staff were so nice and helpful. 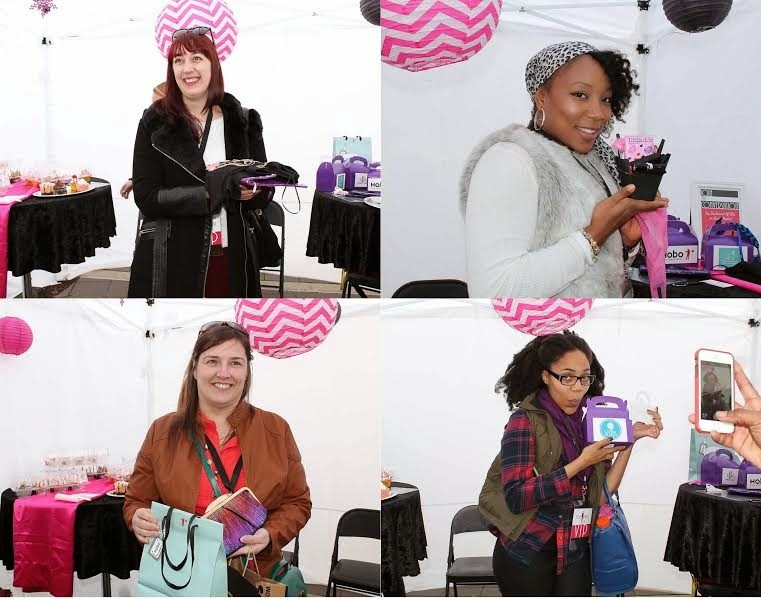 In the VIP tent, I had the opportunity to meet and chat with the other fashion bloggers that were there. Some I've me before at other events and some I just met. But it was great just to talk to them and see what they do and even get some blogging pointers from some of them. After the wonderful photo ops with the bloggers.. Ola and I decided to walk around, shop, and take pictures. Since I sew my own clothes, I was looking to buy only accessories which the vendors have a lot of. 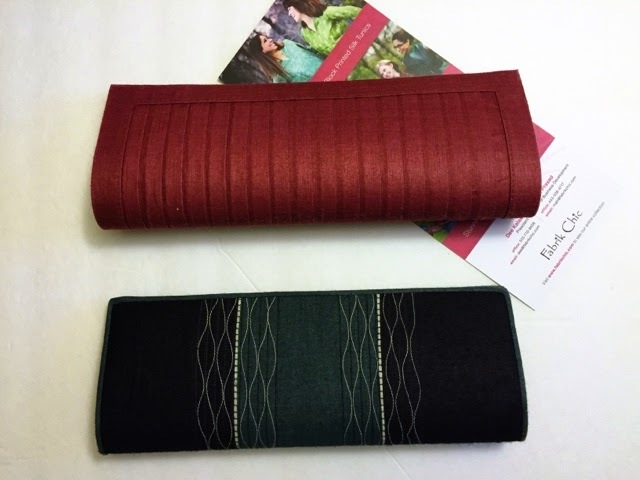 I was mainly looking for unique Clutch Purses and I was lucky enough to find two at a really good price, from Fabrik Chic. You'll see in one of the pictures below that I started carrying one of my clutch purses immediately after purchase.. lol no time wasted. Overall, the BOC event was awesome and I can't wait to the next event. Maira, from Needles and Fashion, and I chatting about Sewing.. The winners of the VIP raffle!! Congrats ladies.. Thanks you for stopping by.. And thanks to everyone that came out to support BOC. This is beautiful, I wish I live nearby :) , Mobile boutiques are getting more and more popular this days and their display trucks are awesome. I like your print jacket very simple and classy.